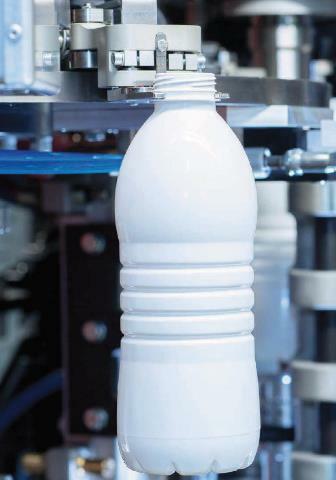 In the process of making PET bottles (polyethylene terephthalate) there is a fine line where the high output per bottle blowing machinery and the requested quality of the bottle come together. Taking into account that such machines must be able to produce a broad range of sizes and shapes and produce various quality bottles, it’s obvious that many variables must be kept under control during the process. One of the key parameters to control is the temperature. 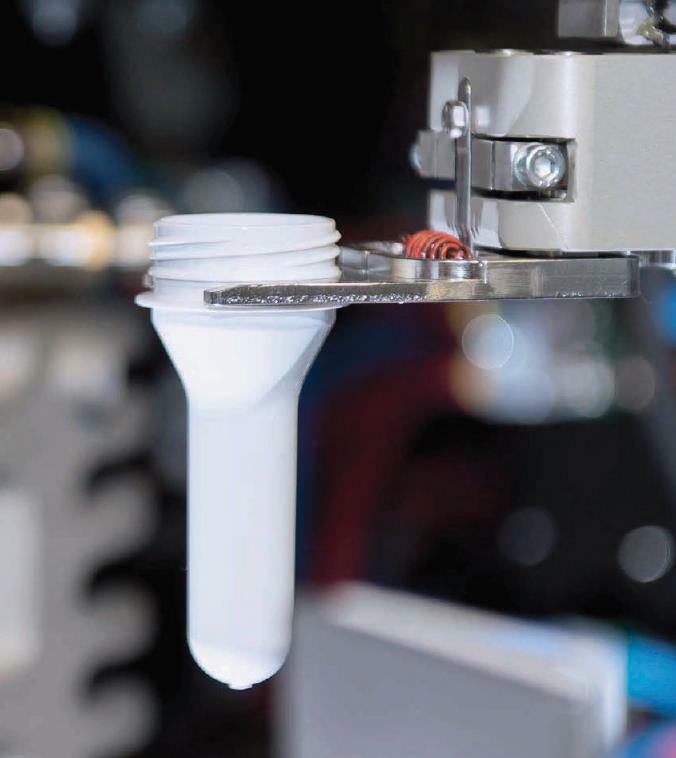 The bottle blowing station machine’s infeed starwheel picks up the preforms and transfers them to the preform conveyor belt. Then, while rotating continually, they run through a system intended to uniformly heat up the preform. When a set temperature is reached, the preform is moved to the blow molding section of the machine, where it is molded in the desired shape by applying pressurized air. If the temperature of the preform is not uniform, or has not reached or has exceeded the desired value, the end product will have defects: holes in the bottle if the temperature was too high, not completely extended bottles if the temperature was too low, or variances in the thickness of the bottle if the temperature was not uniform (or combinations of these three). These bottles have to be discarded and this reduces the yield of the machine and increases the waste. To avoid defects or deformities in the end product, it is essential that the temperature of the preform is monitored and controlled in the heating step prior to molding. This monitoring enables a temperature variance comparison and (if necessary) allows for an automatic correction of the heating parameters, making sure the optimum quality and speed is obtained. Since the preforms are moving and rotating, their temperature can only be measured by use of a non-contact, infrared temperature sensor. As small temperature variations during the heating can result in deformities of the end product, it is essential to employ a sensor with high accuracy and speed. The ambient temperature close to the heater can vary significantly and the sensor must be able to deal with these variations without generating measurement errors. - Interchangeability error of +-1% - results will remain the same between different machines.